Stephen Miller appears to be President Donald Trump’s go-to man on matters of immigration policy. Politicians on both sides of the aisle are frustrated with the impact that Mr. Miller has had on negotiations. That makes him very unpopular with the likes of Senator Graham of South Carolina and of course, Chuck Schumer, the Senate Minority Leader.The mainstream media has singled him out and accuses him of destroying the hopes of Dreamers.If you are a Trump supporter of his immigration policy, Miller has your best interests in mind as he advises the President. One White House staffer holds the reins to American immigration policy, apparently. Democratic and Republican senators who were hoping for a clean amnesty for illegal aliens brought to the U.S. as minors have expressed their frustration that Stephen Miller, senior adviser to President Trump, is ruining their plans. “Every time we have a proposal it is only yanked back by staff members. As long as Stephen Miller is in charge of negotiating immigration, we’re going nowhere,” Republican South Carolina Sen. Lindsey Graham said on Sunday. Several news outlets ran stories in the last two weeks on how Miller is single-handedly preventing a deal to legalize so-called “Dreamers” because he insists on Congress satisfying President Trump’s demands. This is a terrible thing, according to the chattering class. As one MSNBC segment described Miller’s influence, he’s “poisoning” Trump’s views on immigration. The right thing to do would be for the White House to agree to amnesty without wanting anything in return. A terrible deal for Republicans and Trump, one which Miller clearly recognizes as such. 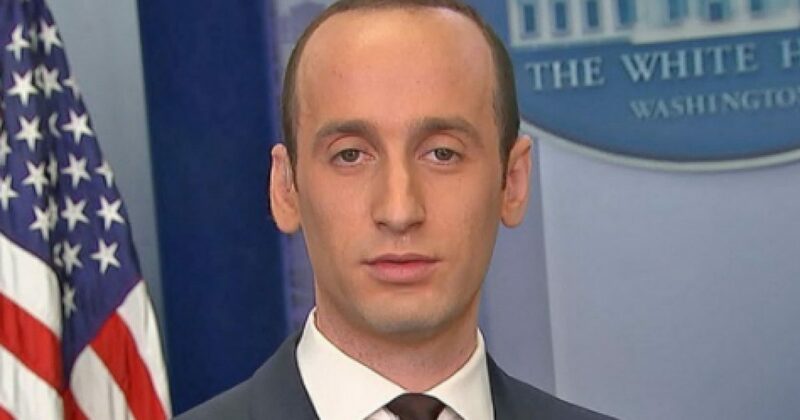 The reason Miller generates so much hate from people like….